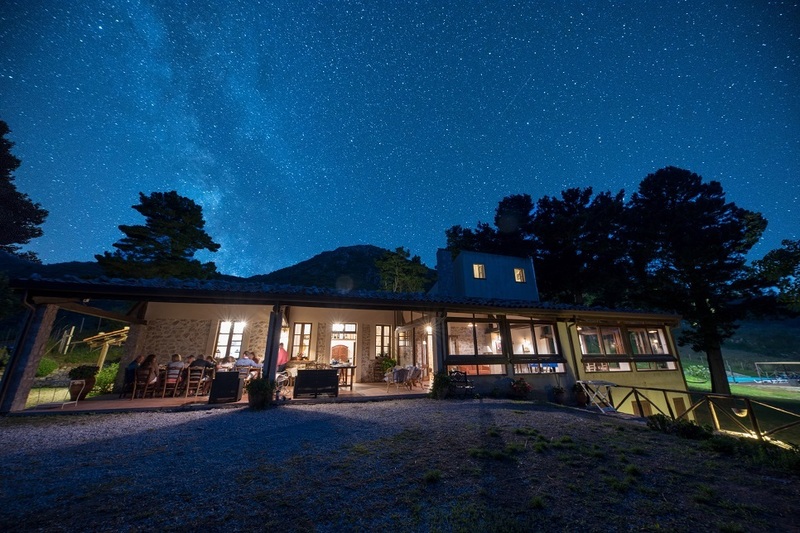 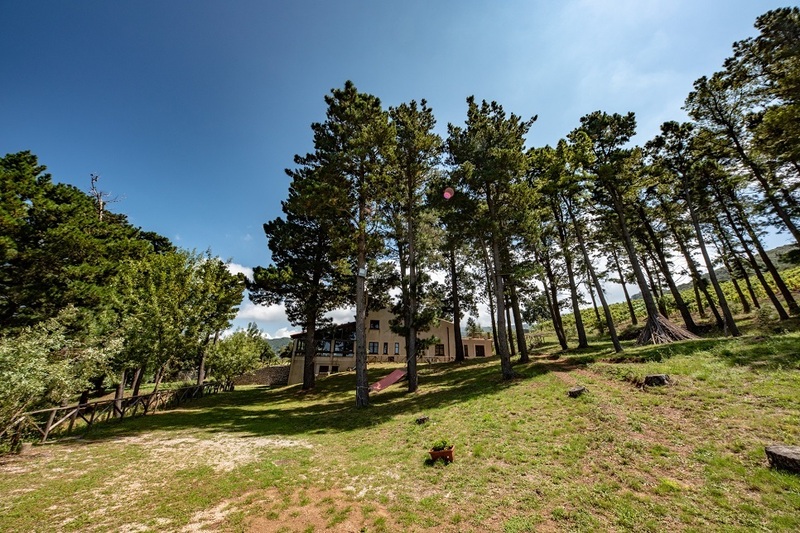 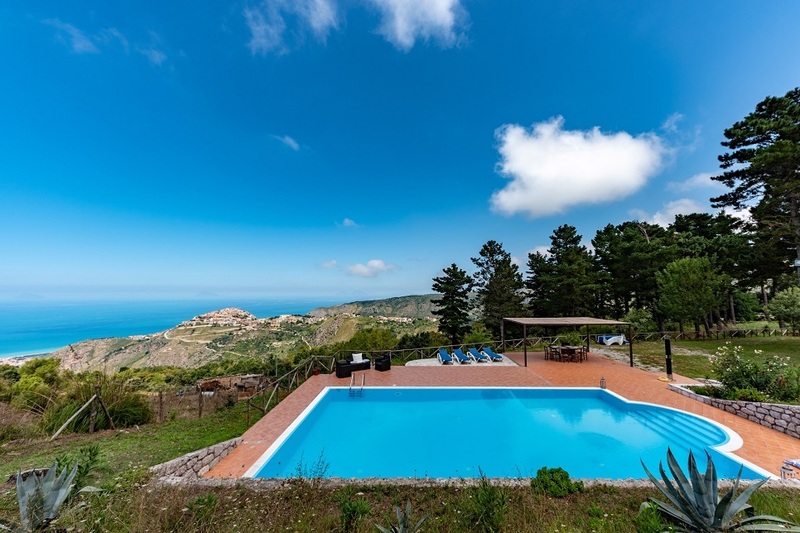 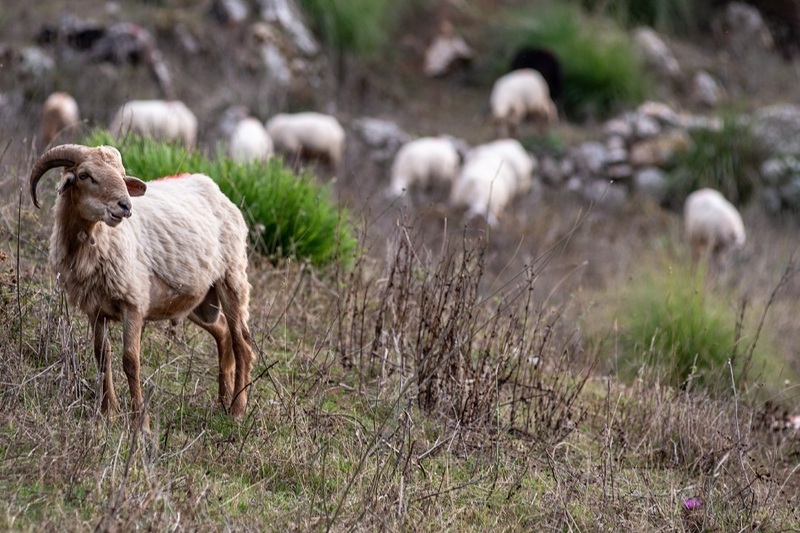 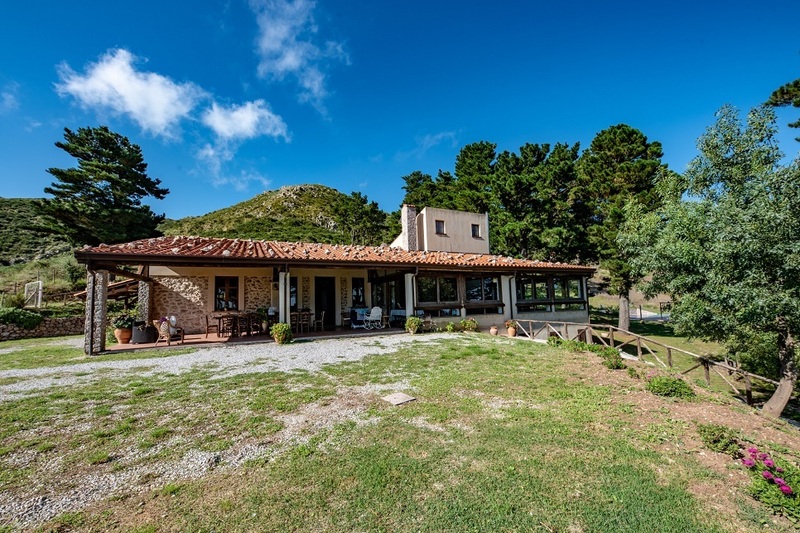 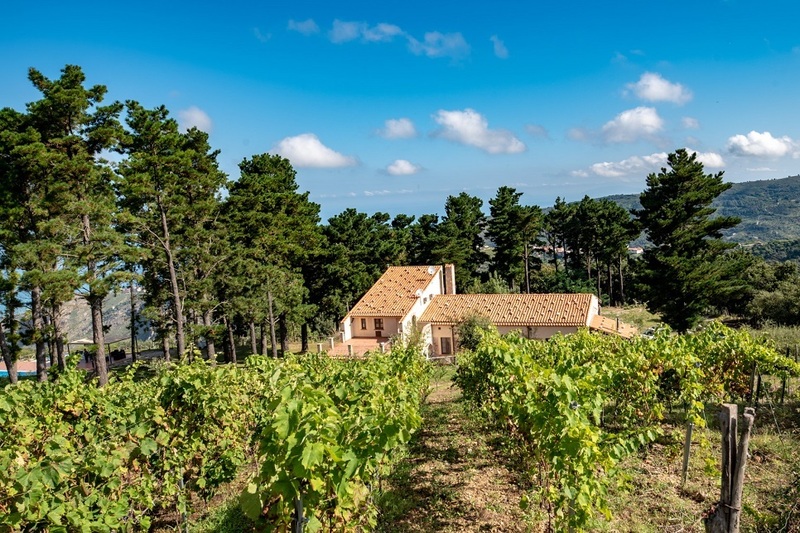 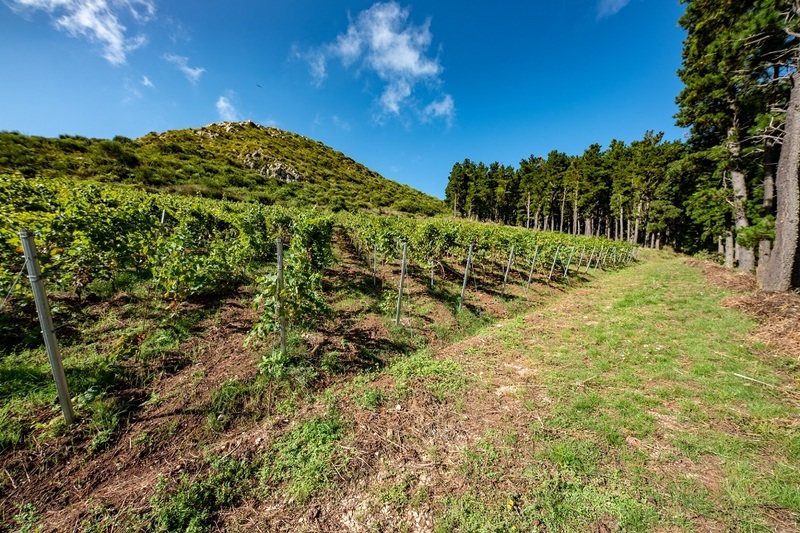 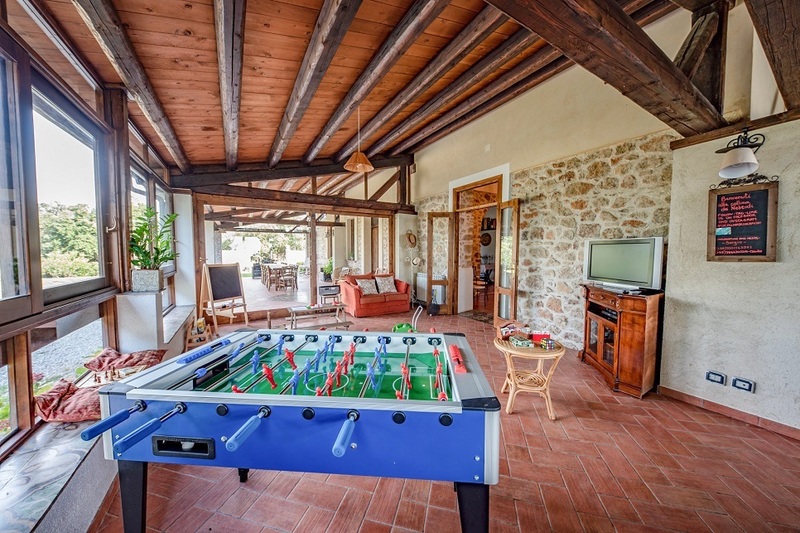 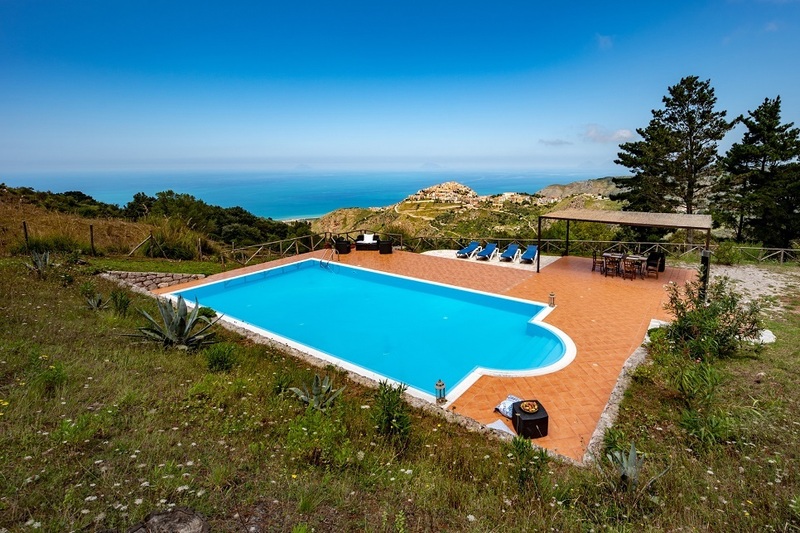 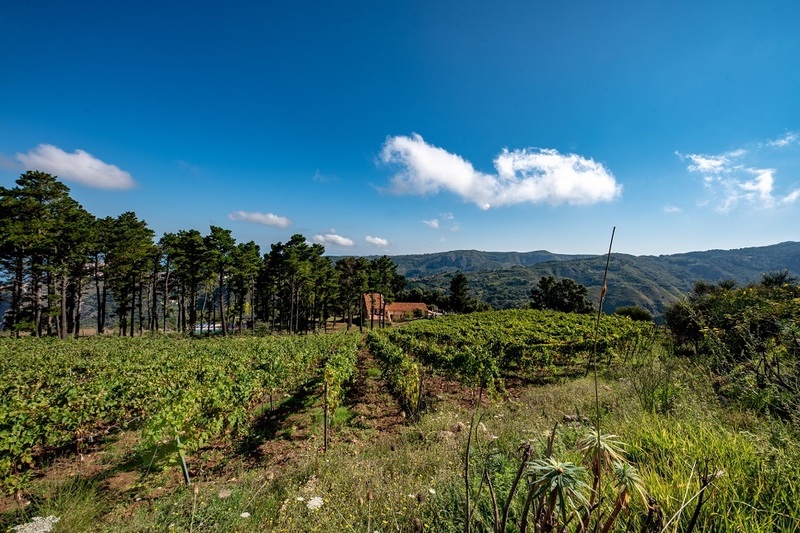 Get back to nature with friends or family at this large rural retreat in north Sicily, a little piece of pastoral heaven between the foodie-friendly Nebrodi Mountains and the northern coastline of Sicily. 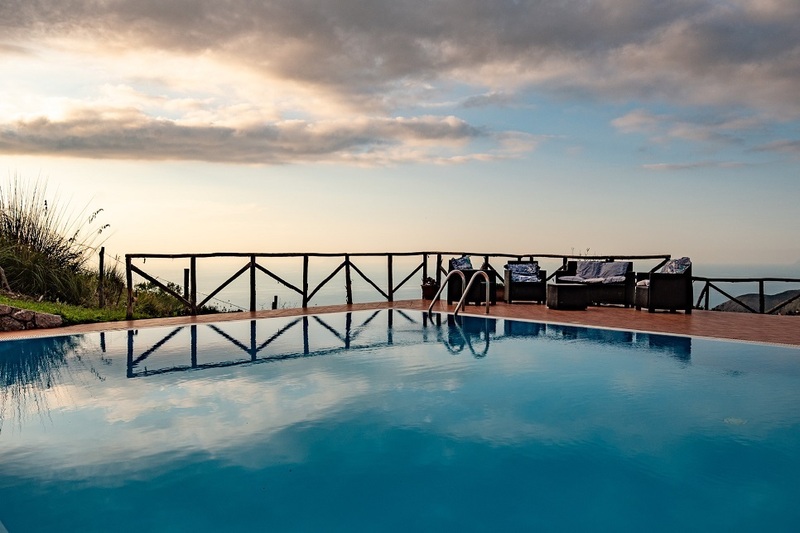 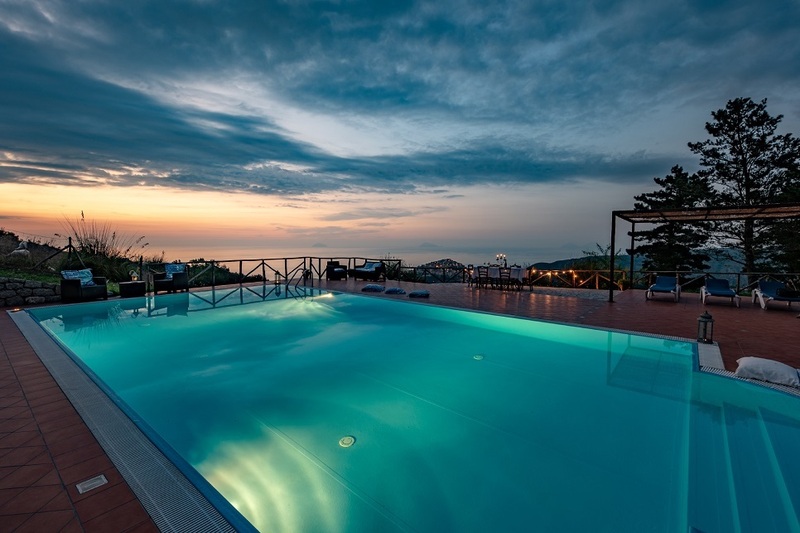 Poolside views are of the pretty town of San Marco d’Alunzio, perched high above the Tyrrhenian Sea and framed by the backdrop of the Aeolian Islands. 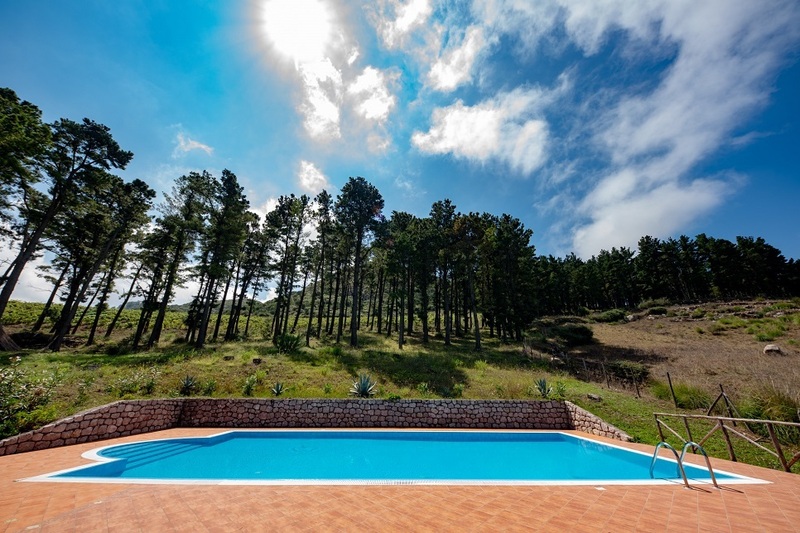 The garden is great for kids, spacious and surrounded by magnificent open countryside, and with a large 12m pool with graduated steps. 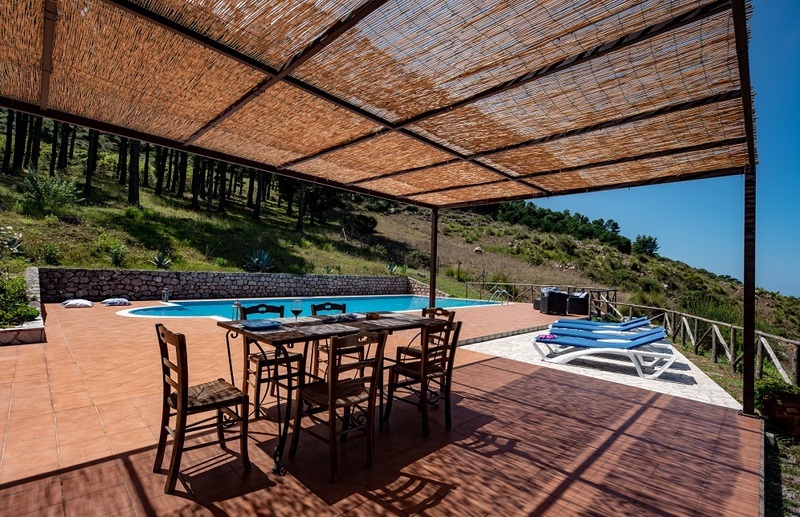 The areas around the pool are equipped with a shower, sun beds, parasols and hammocks. 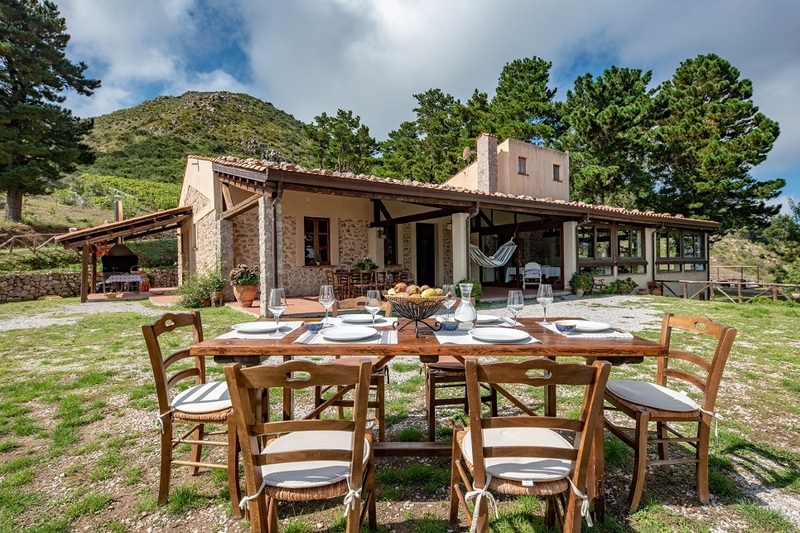 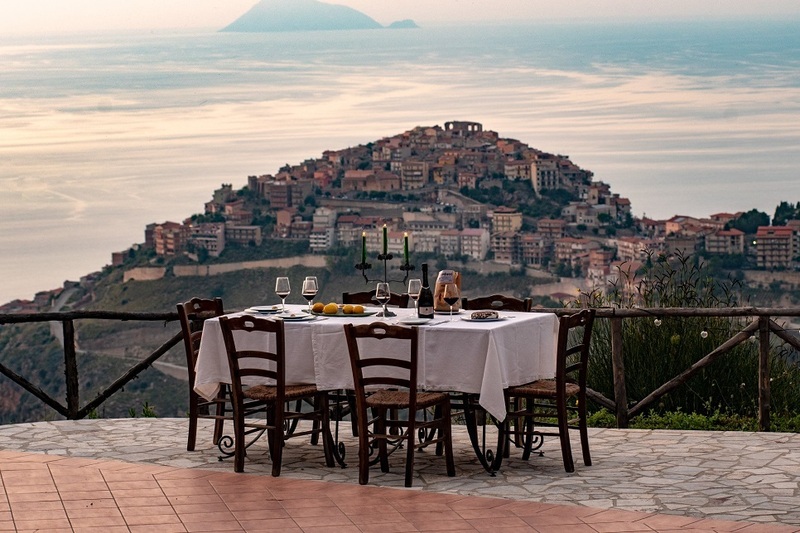 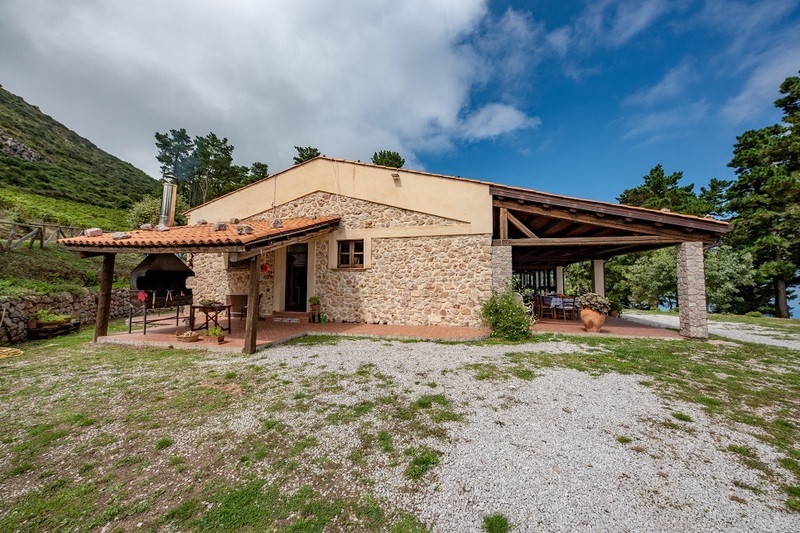 Directly outside the villa, a spacious terracotta-tiled covered terrace has a dining area, lounge-style seating and views across the pine-forested hills towards the sea. 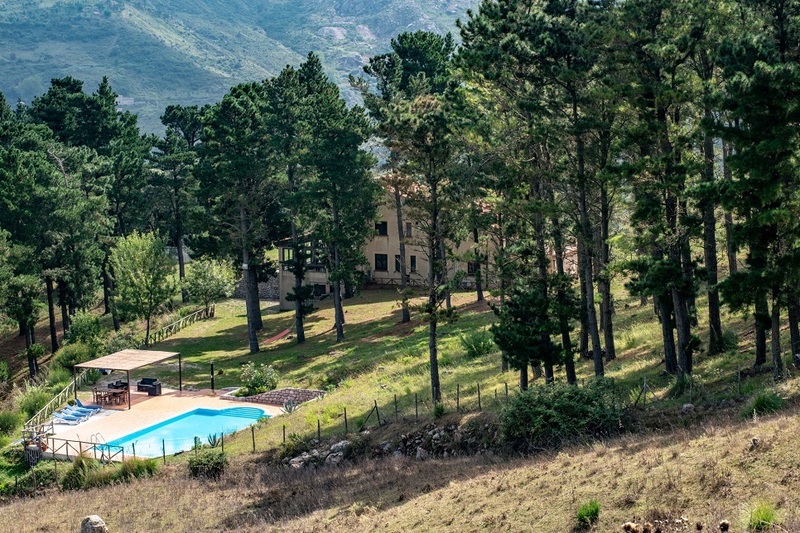 Access to the villa is directly from the terrace. 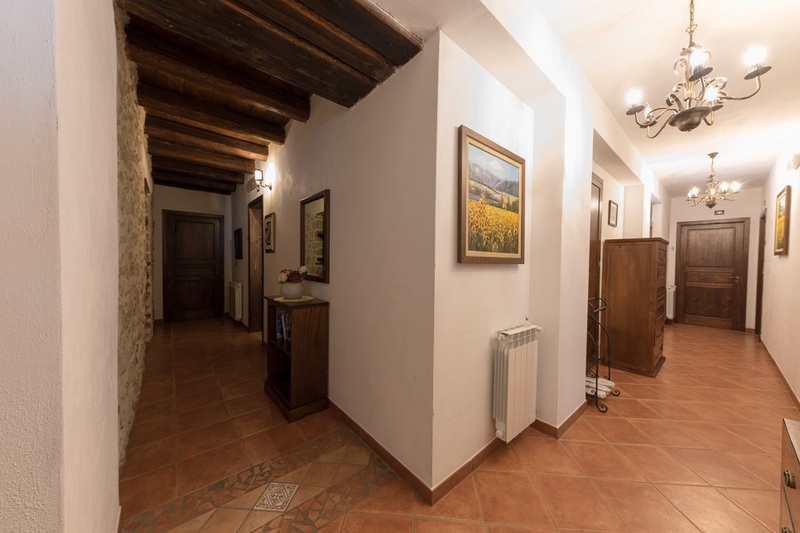 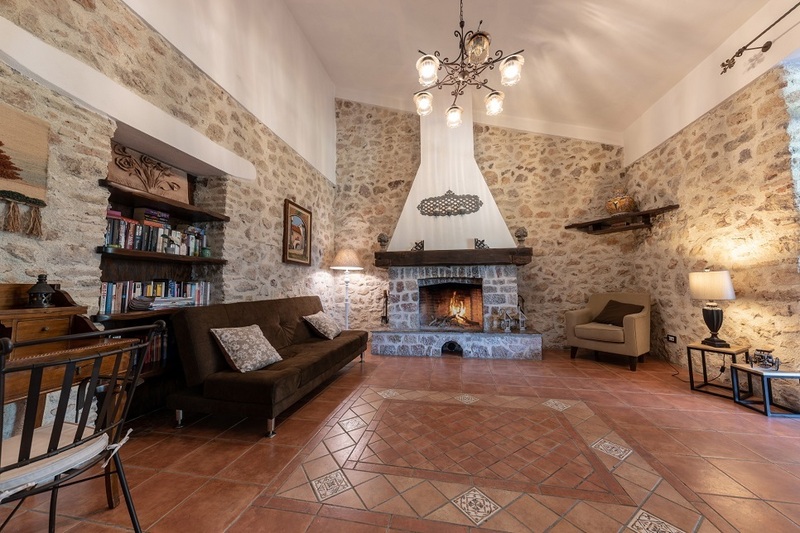 Inside, there are several lounge and dining areas and a well-equipped kitchen. 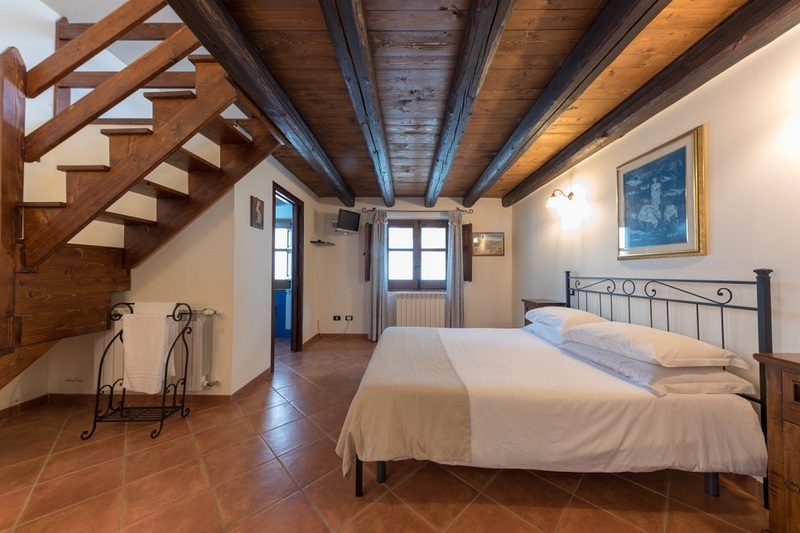 There are three double bedrooms; two triple bedrooms (double plus single bed) and two quadruple bedrooms (double plus twin beds). 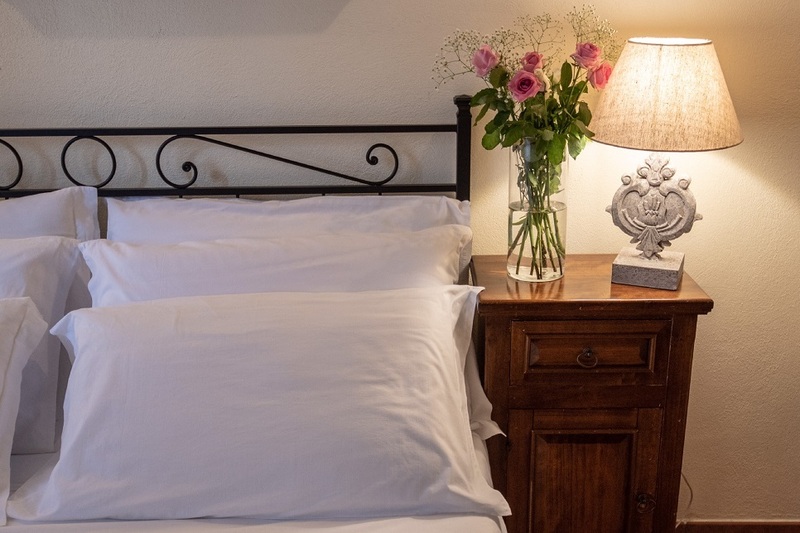 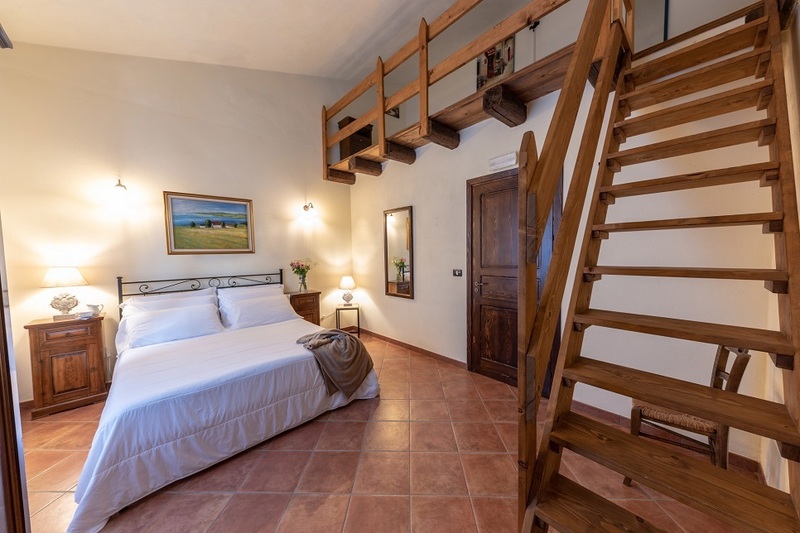 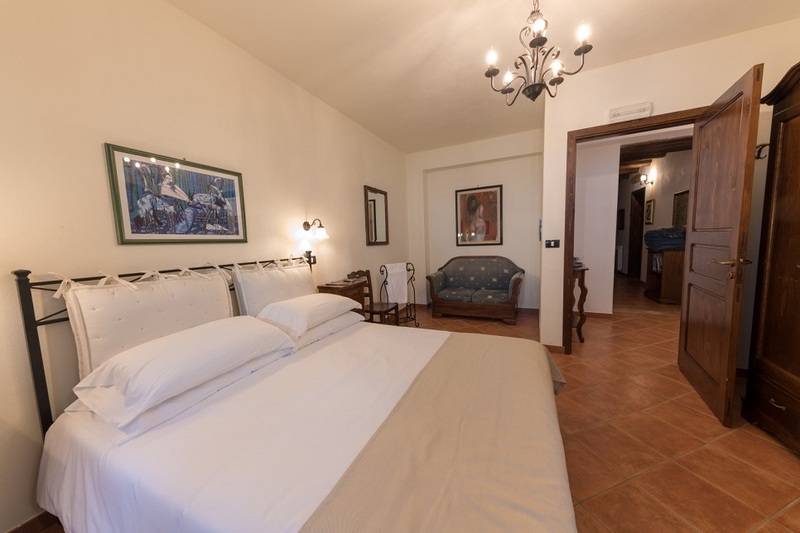 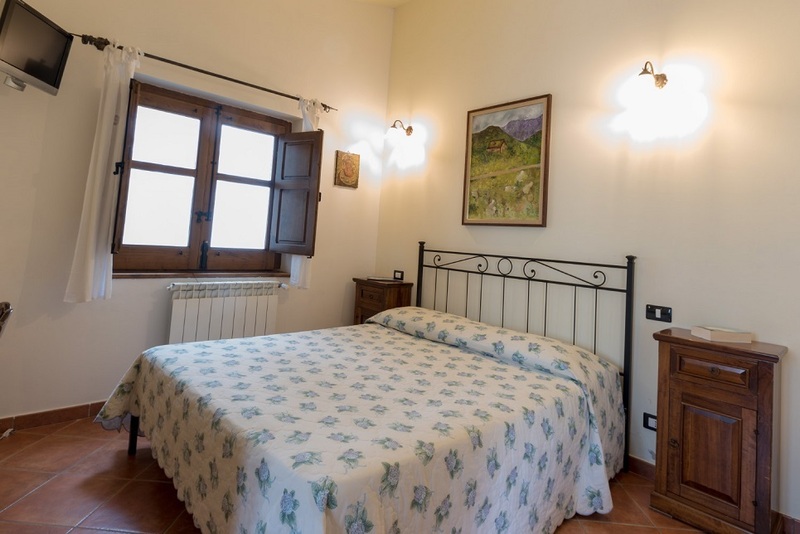 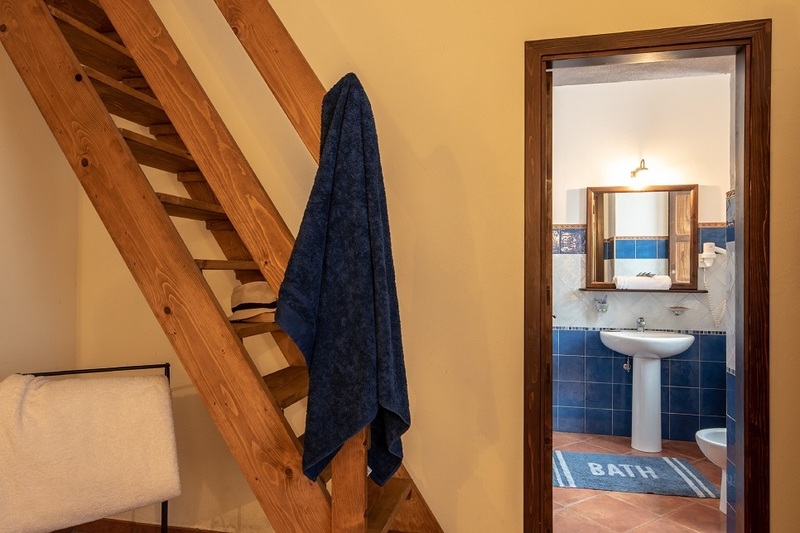 The single beds are on a separate mezzanine level, accessed from each of the double bedrooms. 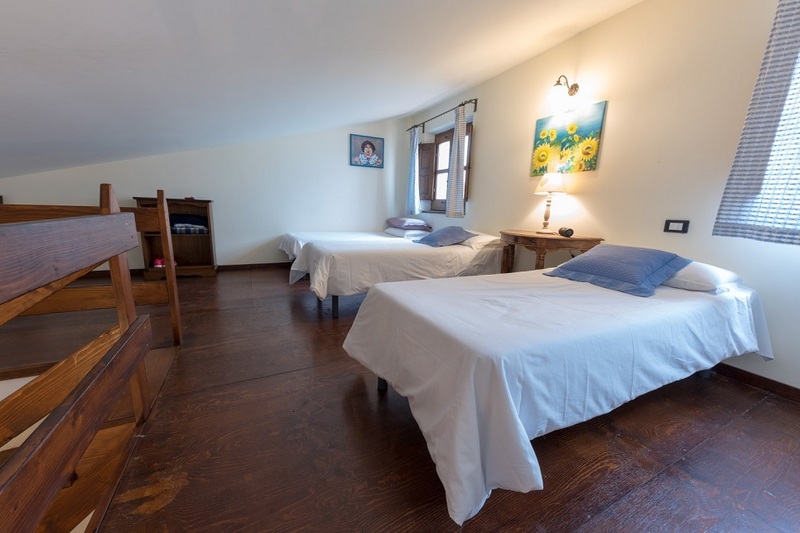 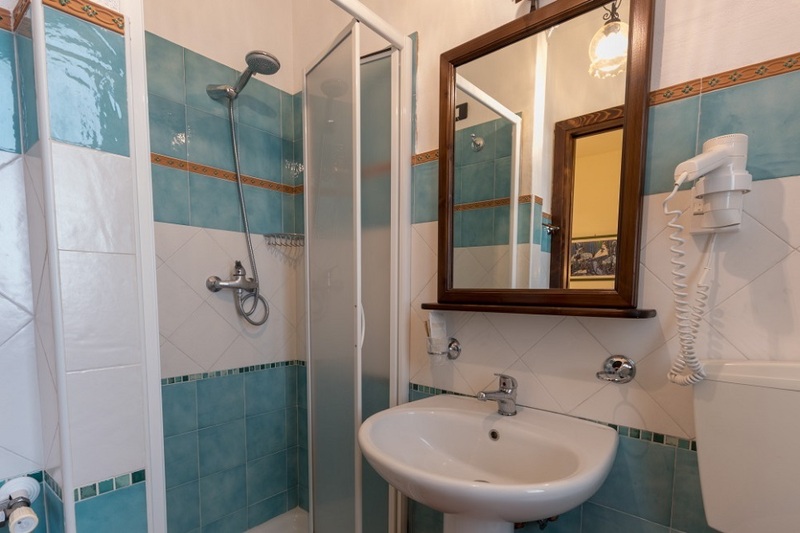 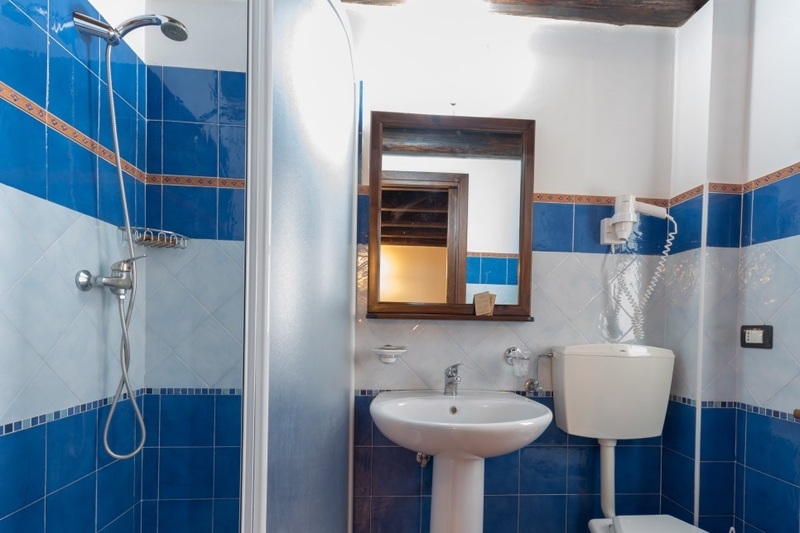 All the bedrooms have their own bathroom with shower, and all have air conditioning. 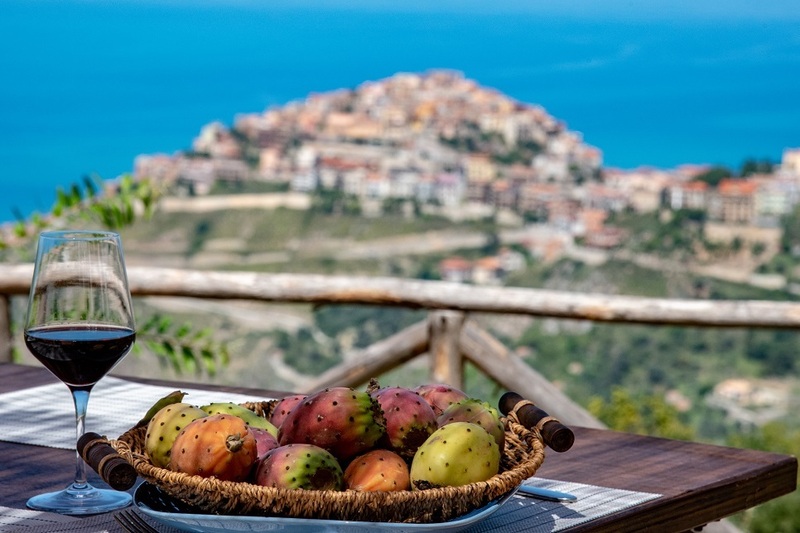 Villa highlights include hiking excursions to the awe-inspiring Rocche del Crasto and exploring the Nebrodi’s local gastronomy. 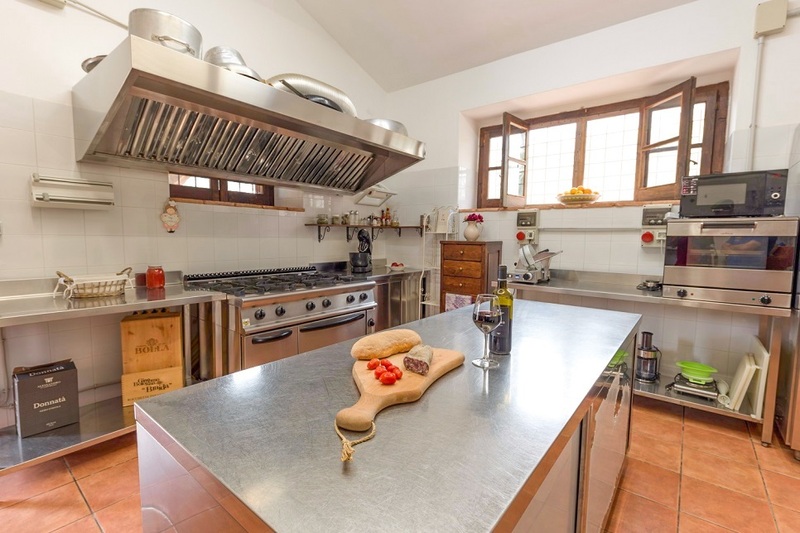 Gourmet tours and cooking courses can be organised. 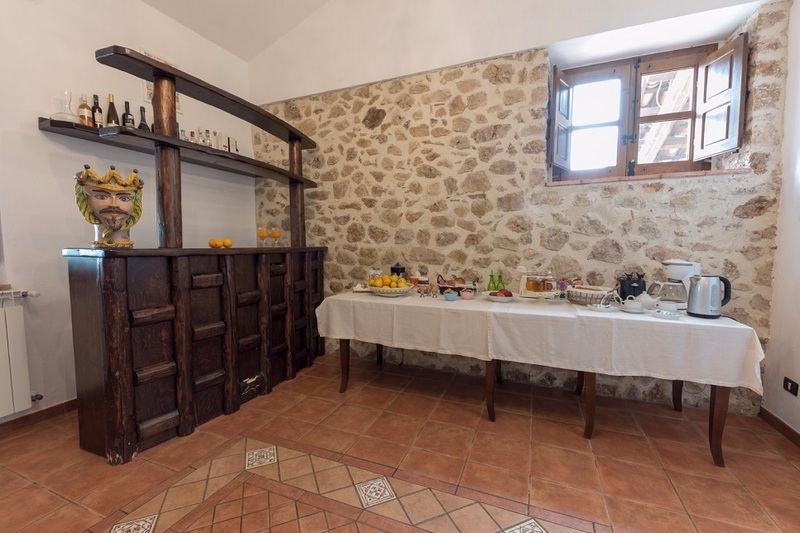 Breakfast, including local cheese, ham and other regional products, is included. 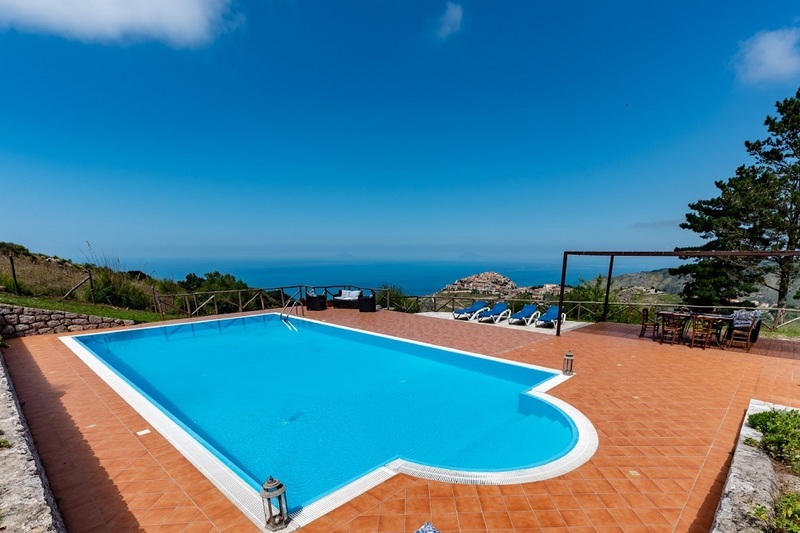 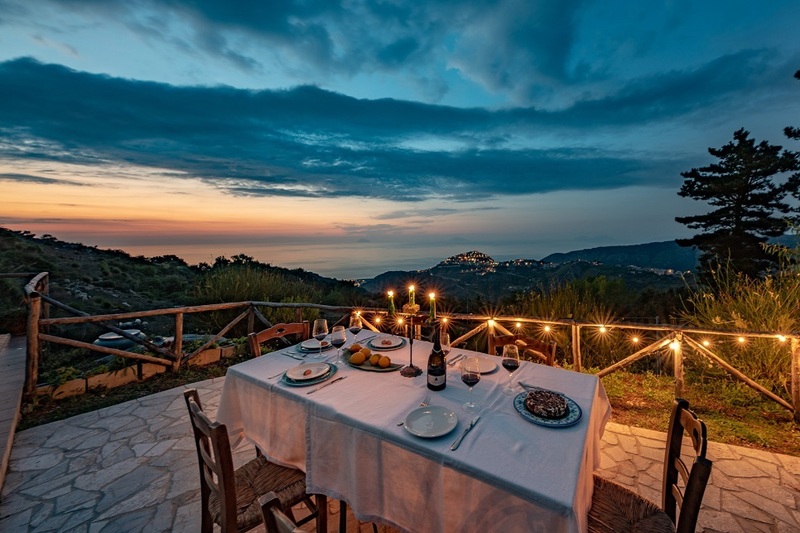 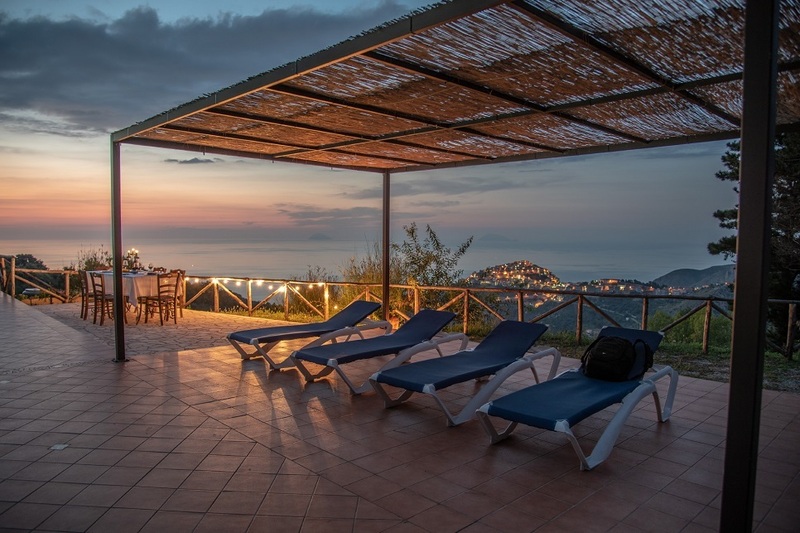 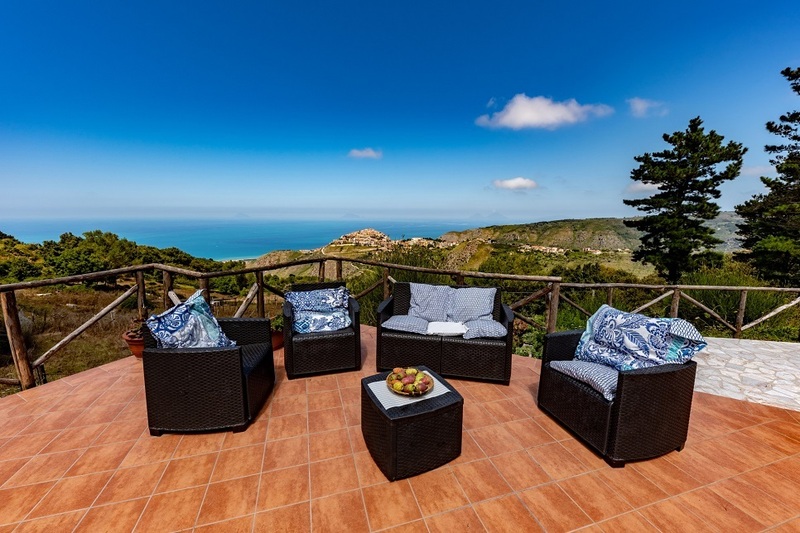 With magnificent views of the Tyrrhenian coast and the UNESCO world heritage Aeolian Islands, Villa dei Nebrodi is situated on the edge of the Nebrodi Mountains. 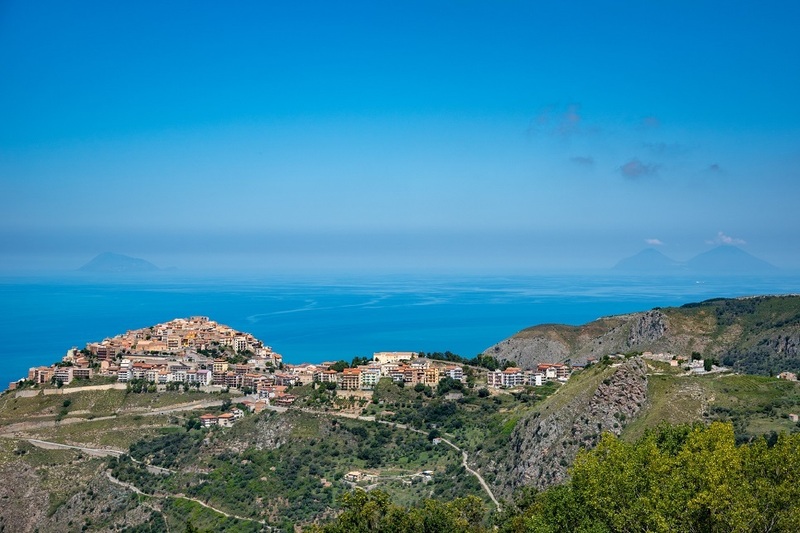 One of the most undiscovered regions of Sicily, the Nebrodi offers a world of pure fresh air, hidden villages, forest walks and lake swimming. 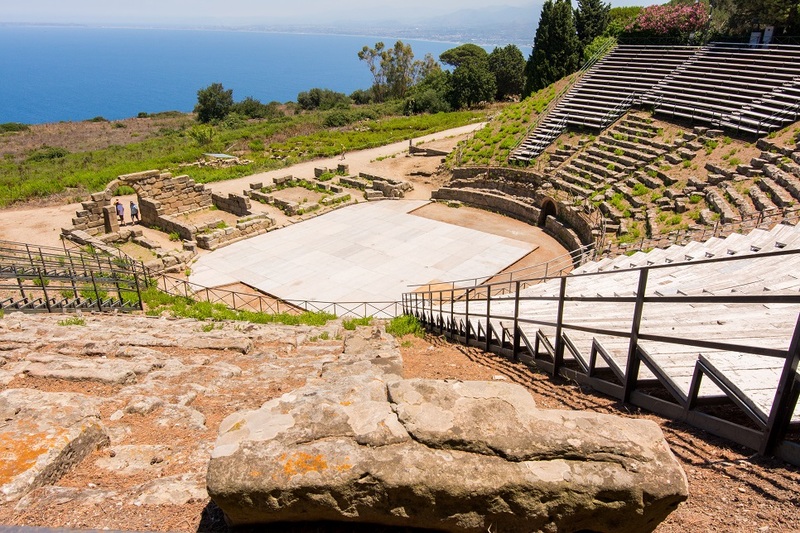 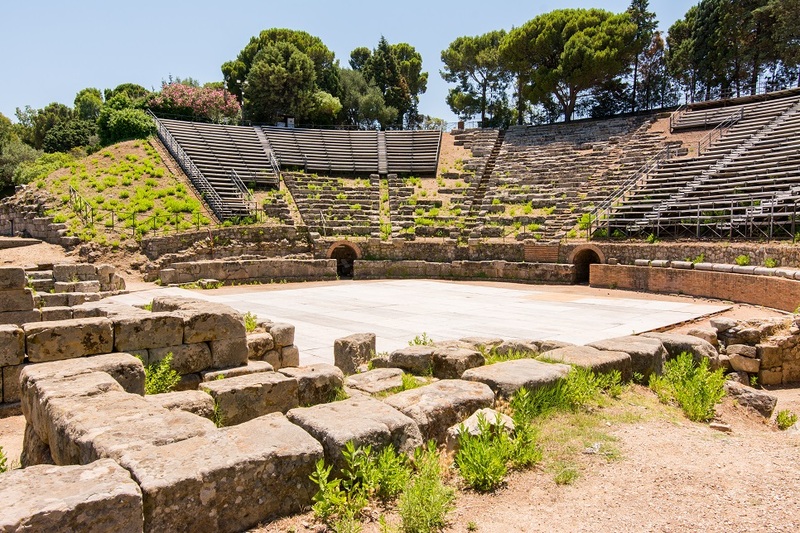 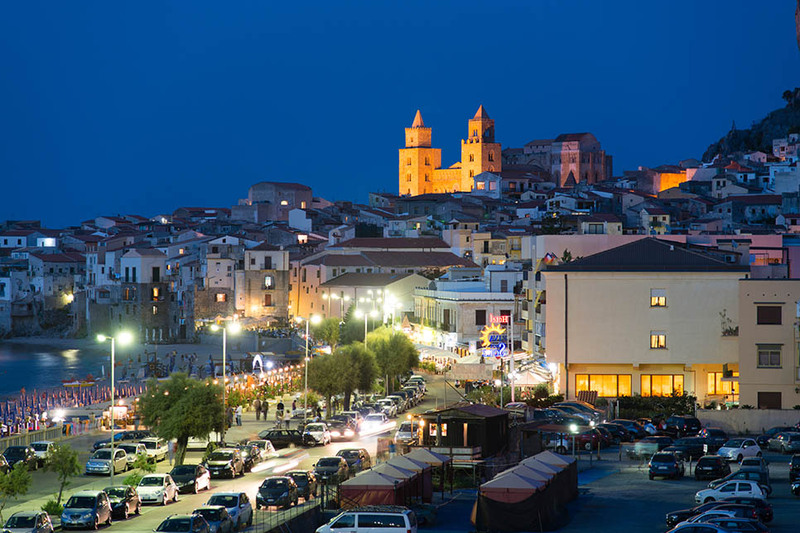 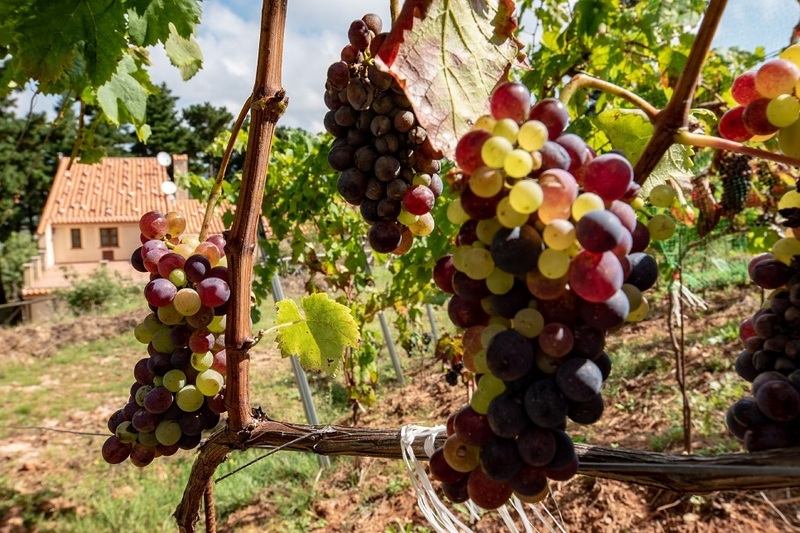 The ancient town of San Marco d’Alunzio, just 5 km away, is the perfect introduction to real Sicily, famous for its stunning red marble and numerous churches, and with shops, cafés, restaurants and an enoteca where you can stock up on local salami, ham and cheese, honey and wine. 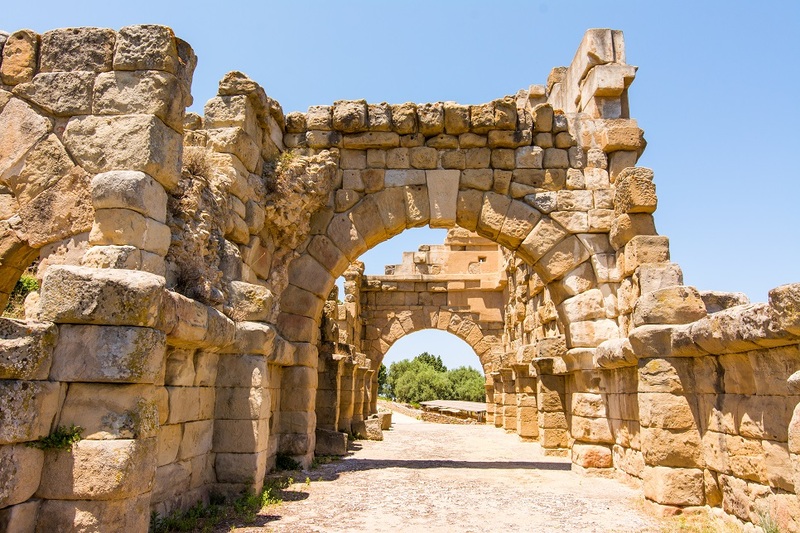 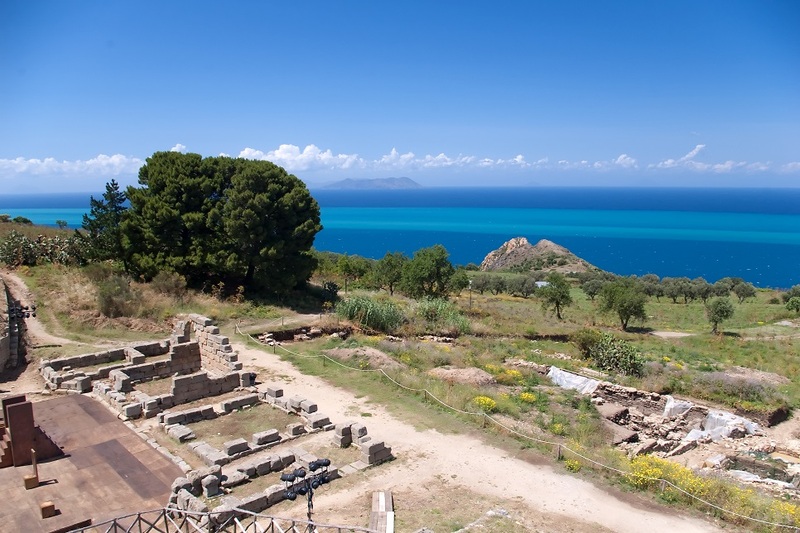 The town is also famous for its Temple of Hercules, built by the Greeks during the 4th century BC. 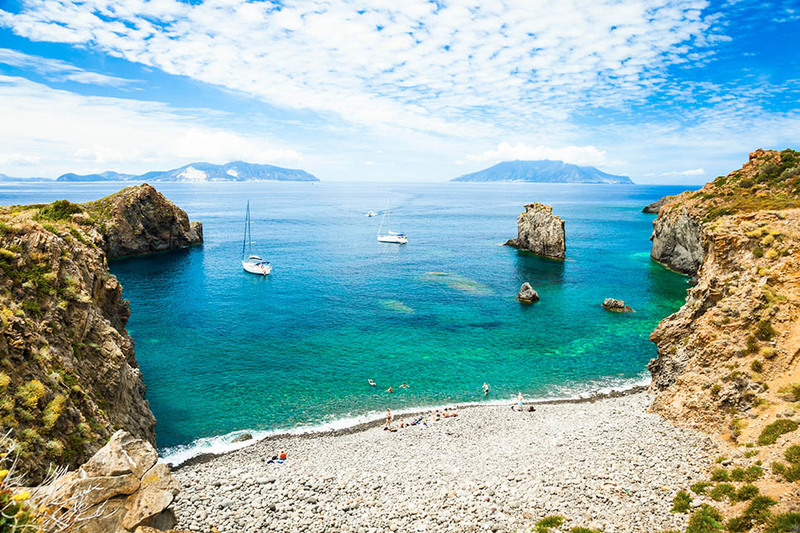 The nearest beaches are 13km away, with the best local beaches situated at Capo d’Orlando (around 19km). 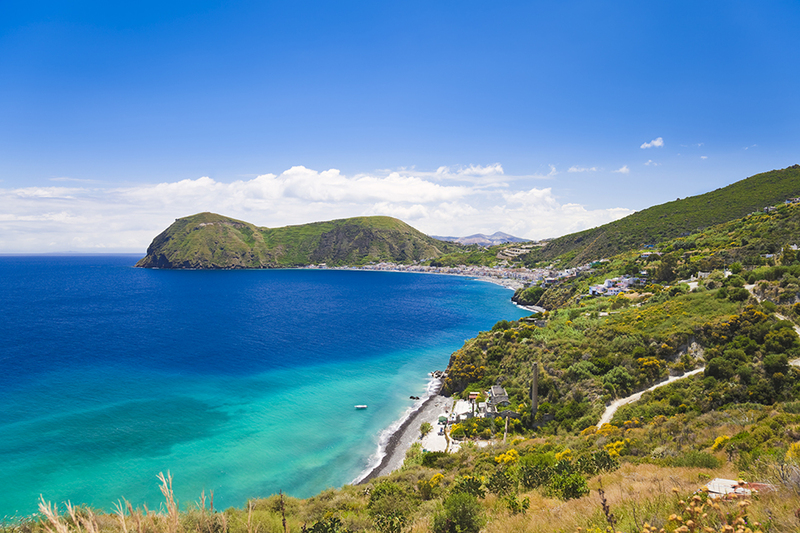 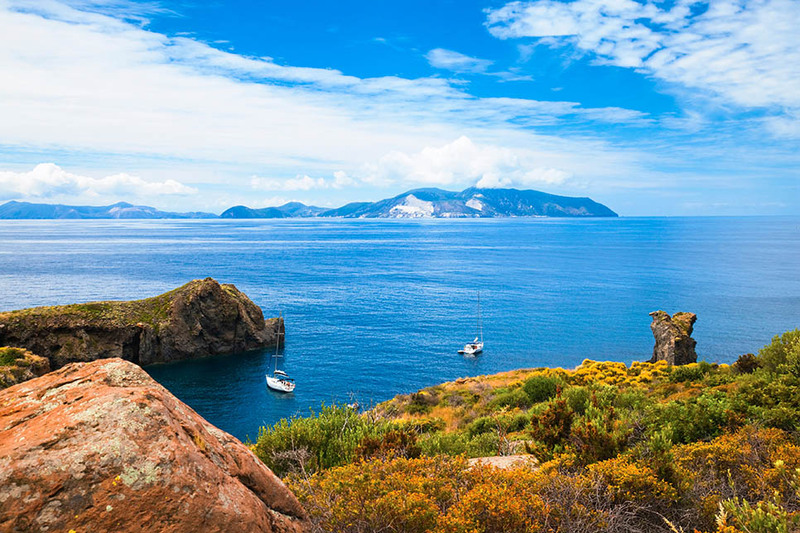 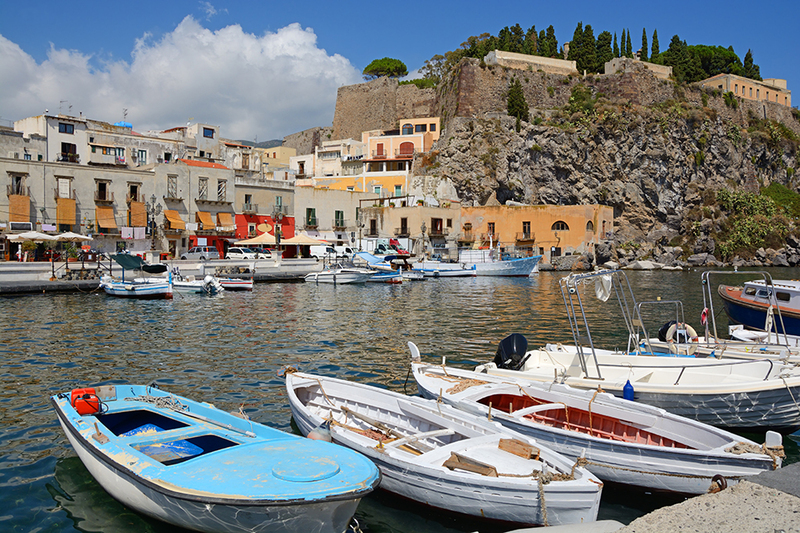 Boat trips and SCUBA diving to the Aeolian Islands are available with daily departures from Milazzo (80km). 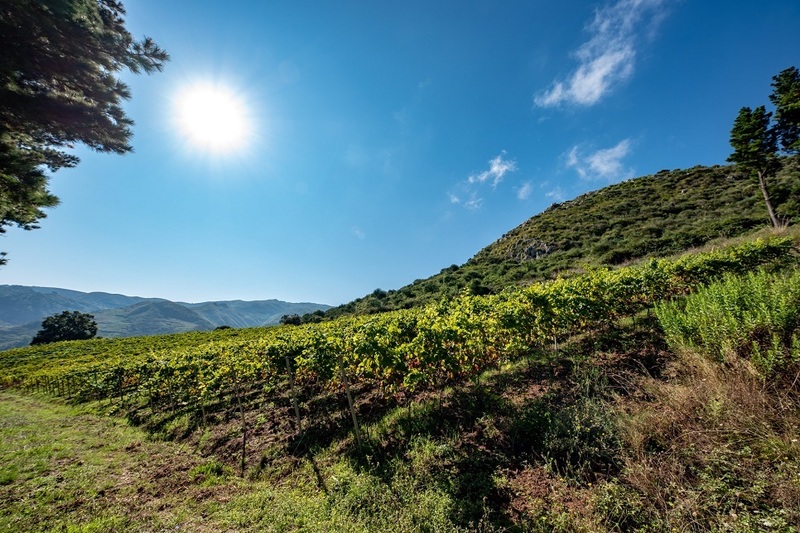 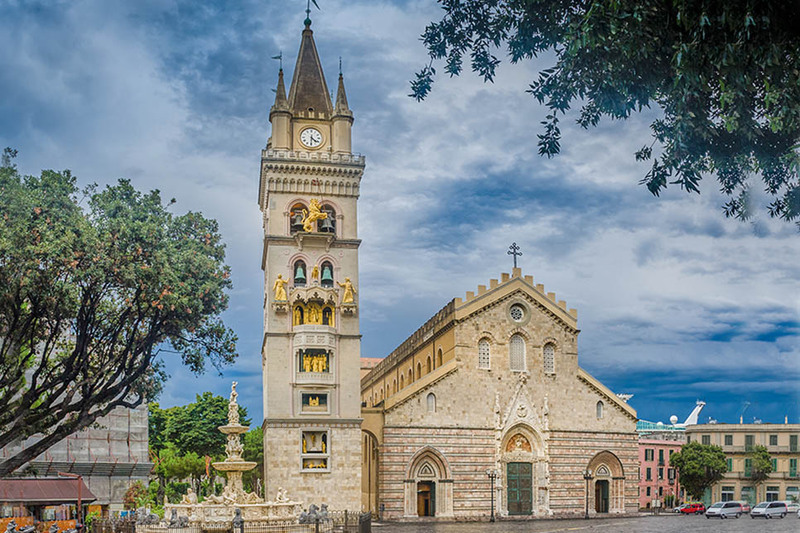 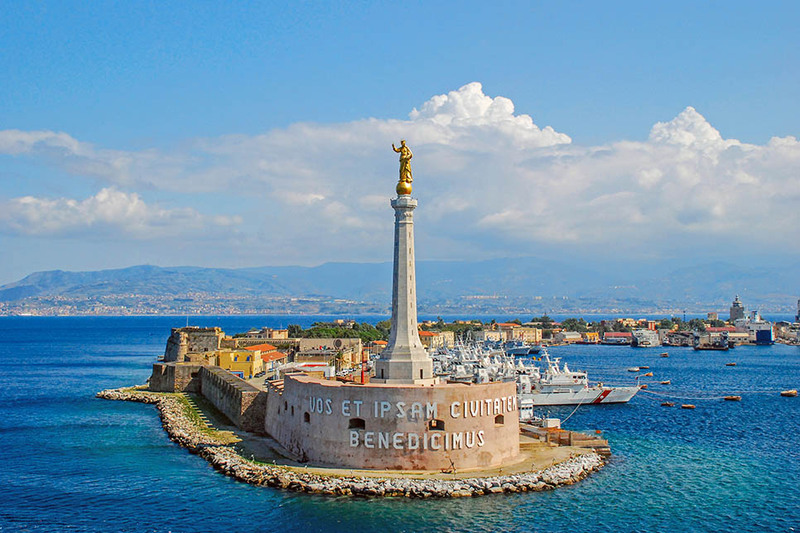 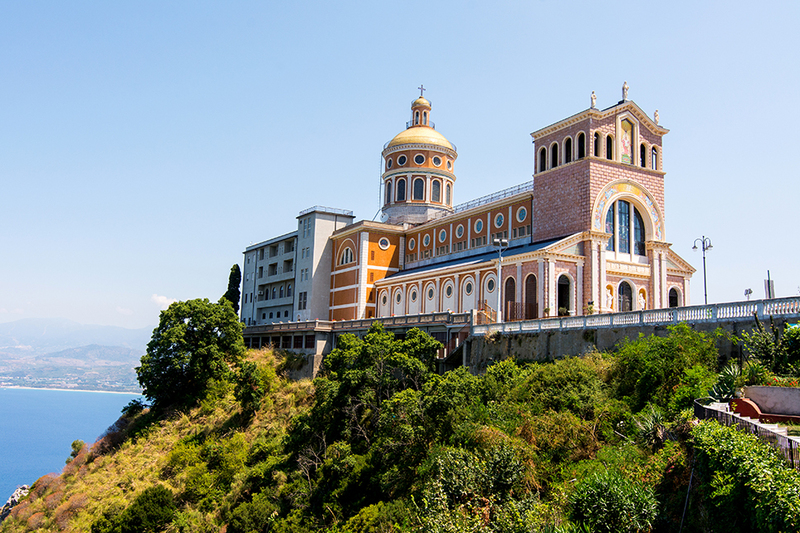 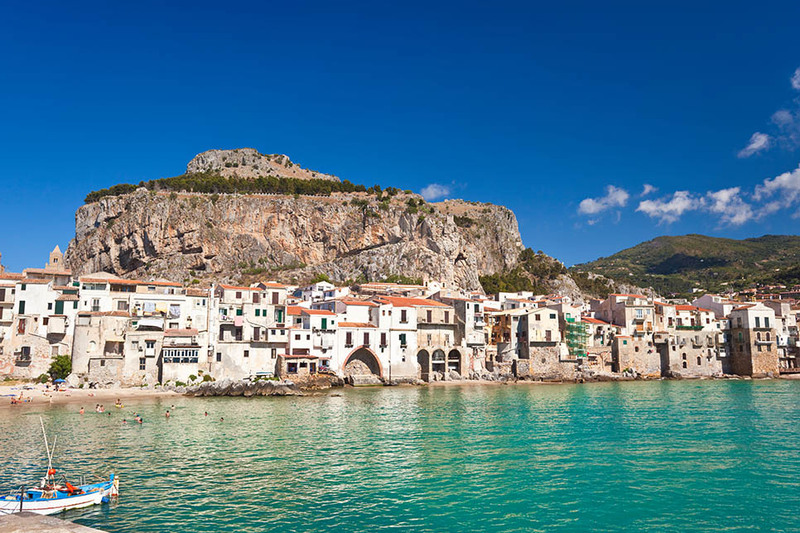 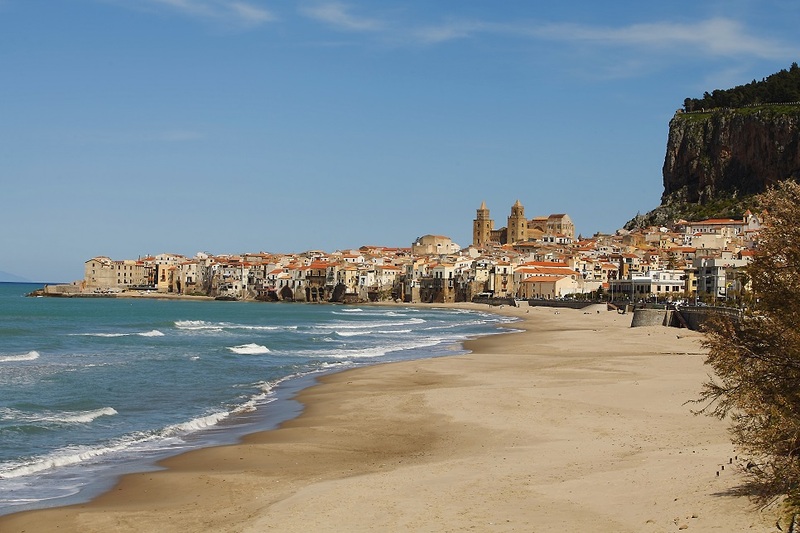 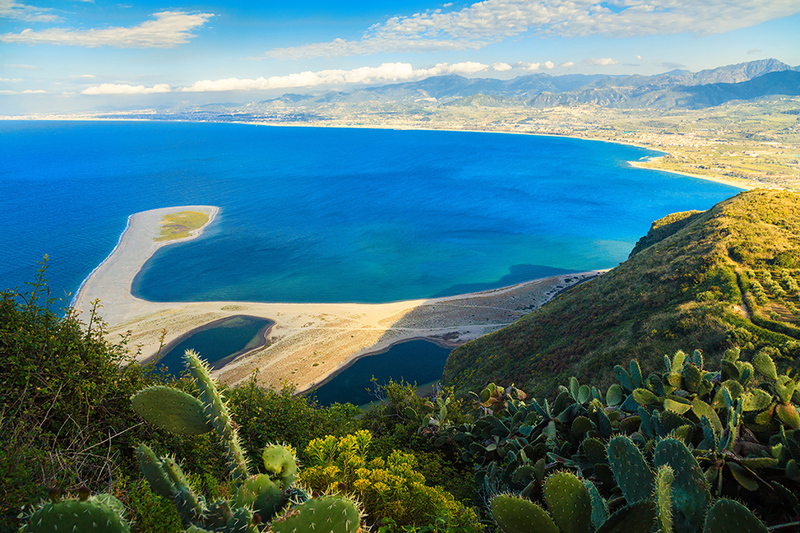 Other places of interest include Tindari (50km) and its famous Sanctuary, the lively coastal town of Cefalú (90km) and, of course, Mount Etna (90km). 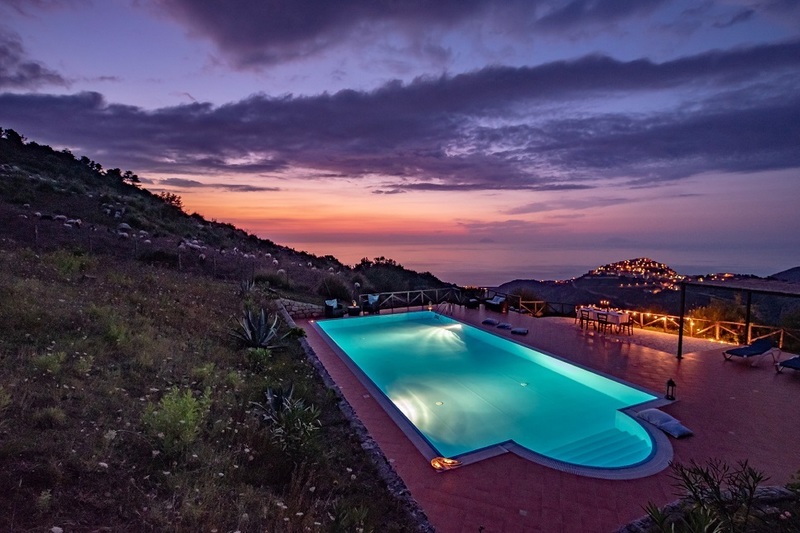 The pool is open to guests from April to October included.